From the aesthetic to the functional, crooked teeth can cause major problems! If your overcrowded, hard-to-clean teeth are putting you at risk tooth decay, help is at hand at Greygables. For adults who want a treatment that is fast and discreet, we offer the Quick Straight Teeth system – which has the potential to straighten the front ‘smiling’ teeth in as few as four weeks. 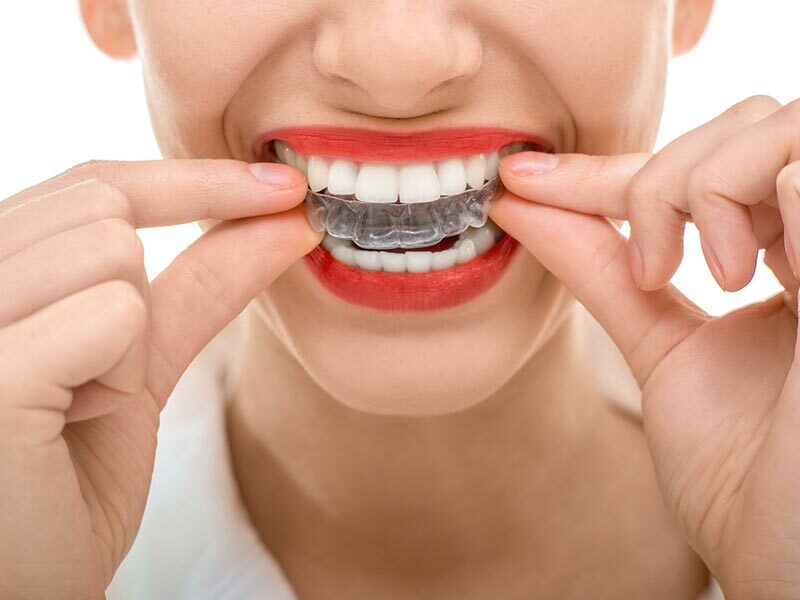 With Quick Straight Teeth, you can choose between highly discreet fixed braces, featuring lightweight, tooth-coloured brackets and wires, and removable clear aligners, which are barely noticeable when worn. With our digital dentistry technology, we’ll help you decide on the best solution for your budget and lifestyle. Another very discreet teeth-straightening solution available at Greygables, the Inman Aligner is a removable, retainer-style brace that delivers fast, efficient results. It’s ideal for quickly straightening the front ‘smiling’ teeth, and for alignment prior to cosmetic treatments such as composite bonding. Treatments typically take 6-18 weeks when the Inman Aligner is worn for the recommended 20 hours a day. The system is comprised of two plastic ‘bows’ – one that sits outside the front teeth, and one that sits behind. Powered by super-strong, nickel titanium springs, they exert gentle forces over a very large range of movement, which in turn guide teeth amazingly quickly into position. At your orthodontic consultation, the team at Greygables will explain the benefits of all the systems available and recommend the best solution for your needs. We work with a local specialist and refer to him for complex cases which require specialist input. Having straight teeth gives you a better long-term chance of avoiding a host of dental problems, from tooth decay and gum disease (caused by not being able to clean crooked teeth effectively), to chronic pain from a bad bite, and risk of dental trauma from protruding teeth. Because they’re almost invisible, Quick Straight Teeth systems are ideal for anyone with a lifestyle that wouldn’t suit traditional metal braces. And because QST braces and aligners focus on the front ‘smiling’ teeth, treatment can be completed in weeks, not years. Who is suitable for Quick Straight Teeth? 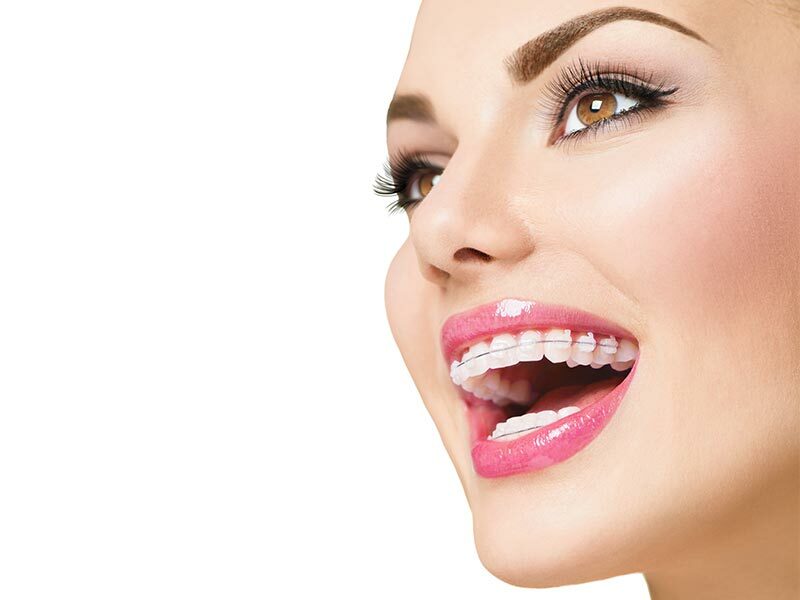 Quick Straight Teeth is a cosmetic treatment designed for the front ‘smiling’ teeth – so if there are deeper problems concerning bite and function, your dentist may recommend an alternative treatment, such as traditional fixed braces. What does the Quick Straight Teeth clear aligner treatment involve? After an initial consultation, your dentist will be able to show you a preview of your aligned teeth using our digital simulator. Digital impressions will be taken to create your Quick Straight Teeth aligners, which you wear for a prescribed amount of time before returning to Greygables to swap them for a new set. In this way, your teeth will be gently and quickly moved into the desired position. You continue this process until treatment is completed. Impressions are taken to fabricate your Inman Aligner retainer, which is equipped with nickel titanium coil springs that gently guide your teeth into place. These gentle forces are active over a large range of movement, which is why you’ll see results, fast. How long do I wear an Inman Aligner? Typically, you’ll need to wear it for 20 hours a day for 6-18 weeks, with dental check-ups every 2-3 weeks. At Greygables, your dentist will give you a clear understanding of what you can expect, including discussing whether you’ll need a more permanent retainer post-treatment.